From where he lay he had been able to see those two great rocks called the Faraglioni which stand out at sea. It was full moon and he must have gone to see them by moonlight. Perhaps he died of the beauty of that sight. Please compare and contrast Maughm’s “The Lotus Eater” with the tale as you read part of it in the green textbook. Be sure to add text-based details and your own excellent analysis. In addition, be sure to respond to at least one other comment in this thread. Naturally, you will follow the rules of standard written American English. Posted on January 30, 2018 by equinson	• This entry was posted in Mythology. Bookmark the permalink. The story of The Lotus-Eaters we read in class today was very different than the story we read in the Literature textbook. The one we read in the textbook was a Greek mythology story. It told how some of the crew members ate the lotus flower and never wanted to leave the island. Odysseus forced them to leave. However, the story we read in class was completely different. It was about a man named Wilson who went on a vacation to an island and fell in love with it. A year later he moved there but only had enough money to stay until he was 60. The narrator is a person visiting their friend on the island. The narrator’s friend is friends with Wilson. The narrator goes to dinner with Wilson and learns his story. He/She learns that Wilson plans to kill himself when he has to leave the island. The narrator leaves and 13 years later comes back to learn he tried to commit suicide but failed. Now he lives with his old housemaid. The difference in the main characters is evident. Wilson never wants to go home while that is all Odysseus wants to do. Wilson lives a life of leisure while Odysseus is at war and trying to get home while fighting many obstacles along the way. Also, Wilson’s lifestyle is selfish. All he does is stay on a beautiful island not doing anything for anybody. Odysseus wants all his crewmen to survive and saves some of them. Overall, most of these stories are completely different. One thing that could be compared is that Wilson and the three crewmen wanted to stay on an island. Maybe Wilson had some lotus flowers. This was a really cool take on your response Abby, I really enjoyed reading about the points that you made. Great job! Today in class, we read The Lotus Eaters, a similar story to the one we read in the textbook. In The Lotus Eaters that we read today discussed how Wilson moved to Capri from where he had lived before after working for a lot of his life. Wilson fell in love with Capri and his life there, he enjoyed walking along in the empty Piazza at night when not many people were around and bathing in the beautiful vineyards. Once he decided to quit his job and finally move away to Capri, he became completely infatuated with Capri and all of its special traits that were new to what he had been accustomed to before. He was almost fully addicted to Capri and his life there. He never wanted to have to leave Capri and his lifestyle, so he planned never to do so. He set up a lifestyle there that would work for until he was sixty years old. This is very similar to the story that we read in class from the green literary textbook. In the same way that Wilson was addicted to Capri, the lotus eaters were addicted to the lotus flowers that they were eating so it was mentioning the same idea of being addicted to something that was new and enjoyable to you. Wilson and the Lotus Eaters are very similar, they are both easily addicted to something that is new to them, they fall in love with they way that the thing they are addicted to makes them feel. For both of these stories, being trapped in something you love is very relevant and was interesting to read about. Awesome job, Ryan. You made great connections and you also had insightful ideas. Great job, Ryan! I agree, it seems as if the two stories mirrored each other in the fact that both had a character that became addicted to what they loved. Great Job Ryan! I think you pulled apart the two texts really well and found some great connections. W. Somerset Maugham’s The Lotus Eater and Homer’s version of the Lotus-Eaters in the Odyssey both have their similarities as well as their differences. In the Odyssey, Odysseus finds himself upon a island with peaceful, benevolent beings. They meant no harm to him and his crew, but fed them the lotus flower that dispelled their motivation to return home. After consuming the plant, they only desired to stay there forever. On the other hand, in Maugham’s story, the narrator is visiting his friend in Capri who is also friends with a man named Thomas Wilson. He finds out that Wilson was once an average person working in New York, but had come to Capri and eventually decided to stay there for the rest of his life. A similarity I noticed was that Wilson had also eaten a plant that drove off his desire to go back home, except it wasn’t a lotus. Instead, he ate a poisonous flower called an oleander, which had somehow affected his thinking. 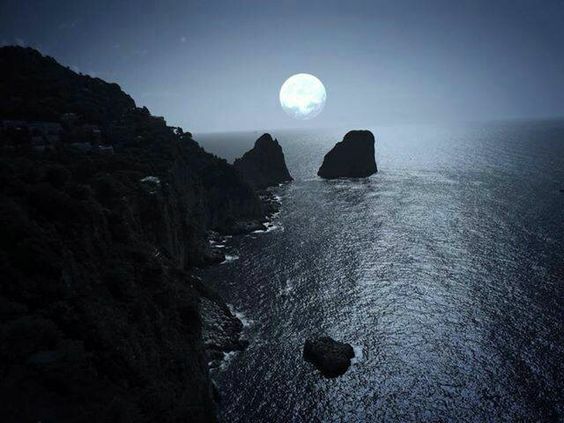 “But it wasn’t the wine that had made me drunk, it was the shape of the island those jabbering people, the moon and the sea and the oleander in the hotel garden. I’d never seen an oleander.” Although he doesn’t expressly say he consumed the plant, I assume that it was what caused him to stay in Capri. Some obvious differences are that there’s no Odysseus, there’s no crew sailing home from Troy, etc. The story also shows what those who ate these plants felt like. They realize how much better it is where they are and feel no need to return. “All I had to look forward to was doing the same old thing day after day till I retired on my pension. I said to myself, is it worth it? What’s wrong with chucking it all up and spending the rest of my life down here? It was the most beautiful place I’d ever seen.” Overall, the two stories have their differences, but are also similar in many ways. I really like your perspective on the topic, Tony. I agree with how Wilson was like a victim to the lotus, and he stayed on Capri because he only saw it’s benevolence. You also made a very interesting point about how Wilson possible consumed a plant, and that plants was one of the factors that led him to stay in Capri. I hadn’t thought of that. Great job! Today in class, we read The Lotus Eater by W. Somerset Maugham, and while both this and the tale from the Odyssey share a title, they are quite different. In The Lotus Eater, we meet our narrator, who in 1913 is spending his August vacation in Italy. He says, “It was on the Piazza in Capri, where I was spending the month of August at a friend’s villa.” (page 1). Shortly after this, we are introduced to a man named Wilson, and the narrator and him soon get acquainted. Once, while eating together, the narrator is able to learn more about Wilson’s life. We learn that he used to live in England, but after visiting here on a holiday, he was enchanted. He goes on, stating, “With that and what I’d got for the sale of my house and the little I’d managed to save, I just hadn’t enough to buy an annuity to last the rest of my life…I found I had just enough to buy an annuity for twenty-five years.” (pages 6 and 7). Wilson leads a simple life, but he is extremely happy with his situation. The narrator soon leaves the island, and can’t return for a long time, but once he comes back, he finds that there is something mentally wrong with Wilson, as his annuity ran out, and was almost forced to go home to England, yet refused to leave. Wilson eventually dies at the end, found dead on the side of a mountain, in the same wretched state he had been in for six years. In the story in the Odyssey, Odysseus faces a much different experience. After sailing from Troy, he come to the Land of The Lotus Eaters, where they find no resistance, only a group of people known as the Lotus Eaters. The Lotus Eaters, “showed no will to do us harm, only/ offering the sweet Lotus to our friends-/ but those who ate this honeyed plant, the Lotus/ never cared to report, nor to return:/ they longed to stay forever, browsing on” (page 985). Odysseus soon drags the shipmates that ate the Lotus flower onto the boats, where they despair over not staying on the island. The Lotus Eater and the story from the Odyssey are very different. The Lotus Eater takes place in Italy in relatively modern times, 1913, while Odysseus encounters the Land of The Lotus Eaters in ancient times. He is also from Greece. On a side note, while Odysseus is forced to land on the island, our narrator chooses to come to his island by choice, for leisure. However, the stories also have much in common. Wilson, in the Lotus Eater, is a victim of “the Lotus flower” which is the island ne stays on. He is addicted to living there, much like the ancient Greeks became addicted to the flower. Each of these cases is also viewed from an outsiders point of view-Odysseus views the Greeks, and the narrator observes Wilson. Wilson, also cannot bring himself to leave the island, and when he eventually does, he can’t keep his mind off of it, also like the Greeks. While the two stories seem very different from each other, upon looking closer, we can see that they are actually alike in a lot of ways. Great Job, Matt! Your analysis was great along with your writing. I love the addition of text-based evidence. Keep up the great work! Good job Matt! I really understood what happened when reading your blog and the comparison between Odysseus and Wilson is really good. Maughm’s The Lotus Eater, the central character is Thomas Wilson, who abandons his life in England and lives in Capri for 25 years. His story reminds me of The Lotus-Eaters from the textbook because Wilson was attracted to Capri, similarly to how the men sailing with Odyssesus were attracted the plant that the lotus-eaters were offering. “…all so peaceful and beautiful, I said to myself, well, after all, why should I go back? It wasn’t as if I had anyone dependent on me.” In the story, Wilson felt compelled by the islands beauty to stay. He reminded himself that there wasn’t anyone waiting for him a home, therefore he carelessly moved. In the textbook, those who ate the lotus, “they longed to stay forever, browsing on that native bloom, forgetful of their homeland.” (pp. 985) While the sailors were blinded by the sweetness of the flower, Wilson had been blinded by the island’s beauty, and by the luxurious life he could possess. As he told the narrator of his sad past, he seemed untouched by his words, as if he had told the story many times. He didn’t forget of his homeland, but perhaps he had decided to forget the pain it brought him. In Wilson’s story, he symbolizes the crew members who stayed on an island, and forgot their past, to only benefit themselves. The story of The Lotus Eater by W. Somerset Maugham includes some similarities and differences than the other version of the Lotus-Eater from the green Prentice Hall Literature Textbook. In the version of the Lotus-Eaters that we read in class today, Wilson moved to Capri and vowed to remain there for as long as possible. The narrator, who had acquainted Wilson, had left the island quickly after reaching it, only to find Wilson with some type of mental issue. It turns out that Wilson’s annuity had run out, and he refused to go back home to England, despite being forced to leave. Eventually, Wilson dies on a mountain in the same spot he had been in for six years. In the Odyssey, in the Prentice Hall Textbook, Odysseus’s experiences are somewhat different. The Lotus-Eaters offer Odysseus and his men some Lotus flowers, and Odysseus’s men quickly accept. They taste good, but in the end, they brainwash the ones who ate them to stay on the island forever, instead of going home. All of the men lost their focus and were brain dead. The men ate the flowers and lost their desire to achieve their goal of reaching home. Odysseus is forced to tie them down on the ships to get them home, further displaying Odysseus’s men getting themselves in trouble, and Odysseus saving the day. In both stories, there was a sense of addiction such as the lotus flowers and the island of Capri. On the flip side, the plot of the two stories was quite different. One story featured Odysseus and his crew stopping on the island of the Lotus-Eaters, being offered/accepting Lotus-Flowers that were addicting and forced you to stay on the island. The other story dealt with Wilson falling in love with an island, committing to stay there for as long as possible, not having any annuity, and dying. As you can see, both of these stories about Lotus-Eaters were different and similar in many ways. Now we have read 2 different stories with a similar title, and both stories share some characteristics. The one that we read in the green textbook was about the Lotus Eaters in Greek Mythology. These Lotus eaters thoroughly enjoyed eating their flowers, and offered their flowers for some of Odysseus’s crew members to eat. After they ate them, they became inseperable and addicted to the Lotus flowers and the island, and did not want to ever leave them. They were willing to do anything in their power to stay on the island and keep eating the flowers. This is similarly seen in the story that we read today. The story is about a man named Thomas Wilson, who was addicted to living in Capri. Wilson had a solid life in England, but did not enjoy it much. He had a job and a family, but once he set foot and looked at Capri for the first time, he was inseperable from it. He felt a need to live in Capri, so he did everything that he could to live there, and decided to quit his job to live in Capri for the rest of his life. Wilson and the crew members each got addicted to something the first time they saw it or ate it. The crew members became addicted after one bite of the flowers, and Wilson became addicted after seeing Capri for the first time. After reading “The Lotus Eater” and the Odyssey I found similarities and differences between the two. Initially, I found no similarities between the two. “The Lotus Eater” tells the story of a man who traveled to an island and fell in love with it named Wilson. He decided to move there, but only had enough money to live there until he was 60 years old. The narrator is a man who travelled to the island to visit his friend, who is friends with Wilson. When talking to Wilson the narrator learns his story, and finds out that Wilson plans to kill himself when he can’t afford to live there anymore. 13 years after this event the man comes back to the island, and finds out that the man attempted to kill himself but failed and now lives with his past assistant. The Odyssey tells the story of Odysseus’ journey home. My first ideas for comparing the two stories were that they were completely different. Wilson didn’t want to go home from the island, and all Odysseus wanted was to go home. Wilson lives his life freely doing whatever he chooses, while Odysseus is out fighting in war. Then I kept thinking. Wilson isn’t really living a free life. He is constantly weighed down by the fact that he won’t have enough money to live on this island in the future. Also I thought about what else happened in the Odyssey. Odysseus and his crew landed on an island and his crew ate lotus flowers and never wanted to leave. Since the story we read today was called “The Lotus Eater” we can infer that Wilson also ate lotus flowers and never wanted to leave. Of course this added more differences as well. Odysseus made his crew leave the island, and Wilson moved to his island. Overall I think an argument could be made in order to say the two are alike and to say they are not. Great job! You summarized the reading excellently. Keep up the great work! Today in class we read The Lotus Eater by W. Somerset Maugham which is both similar and different to the one we read of in the green Literature textbook. In today’s reading, Wilson moved to Capri while he could and enjoyed his life there. Wilson says, “I wanted to live the perfect life while I still had the energy and the spirit to make the most of it.Twenty-five years seemed a long time to me.” This quote shows how he wanted to make the most of his life because even if it seems like a long time, if you have fun, it will go by quickly . For Odysseus, he didn’t have a choice of whether to go or not to go, but he still made the most of the 20 years his journey took. Sure both of them missed a lot, but they toughened up and had fun. Wilson also answers the question, “Have you never regretted?”, with “Never”. I found this interesting because Wilson knew that moving to Capri wouldn’t be easy, but he still enjoyed his time there. The same thing happened to Odysseus, where he missed many things such as his son’s childhood, but he knew that without this journey, he would’ve never met the friends he met along his journey. Both characters had missed out on things but when they did what they did, they had a story to share and tell others. If these characters didn’t do what they did, they would have a different story to tell which would probably teach themselves and others, different lessons. When Odysseus went to war and Wilson moved to Capri, they both had doubts and times they wanted to quit but they both kept going and learned to live life to the fullest. To conclude, once they go back, they would both feel out of place but they could do the same thing they did when they felt alone and scared on their journey. Great use of text based details. Great analysis. Great work, keep it up! We read a few stanzas from the epic poem of “The Odysseys” , and have been assigned to read a short story called ” The Lotus Eater” In this story, “The Lotus Eater” we come across a man who was staying in Capri, somewhere in Italy his name was Wilson, and his existence was pretty dismal, and he lost all of his family, dropped everything he very knew in England and moved to Capri because he just wanted to live the rest of his days not working and living in relaxation. He was, in all honesty, a useless human being. He ended up attempting to kill himself over unpaid debts. I think that relates to the Odyssey because Odysseus’ shipmates’ never came back from the Lotus eaters, they forgot who they were and stayed with the others. In some ways you can relate the sweet lotus flower that enticed the crew mates to the great attractions and food of Capri, likewise with the wine. People who are desperate for new life, not even a new life, just renewed happiness get stranded on both islands, and in some ways- in both dreams. Nice response Mia! I never thought of it that way. I mean, anyone would want to have a perfect life, but only so many would sacrafice what they have for it. When I first gotten the story of The Lotus Eater, it was nothing that I had imagined. I imagined that it would be during ancient times, but it was really about only a century ago, 1913. I was a bit disappointed at first, but as I read it again, it seems a bit more meaning, as the narrator wants us to answer what his title stood for. Thomas Wilson was a man who had eaten a lotus flower and lost thought of return. He was attracted by the sites and the feeling it gave him, and the three men from Odysseus’s crew were attracted to the delicious lotus flower that gave them a lovely feeling. Just liked the three men, he was willing to stay there until they died. Then again, due to little hope of return to family or having not much family to go to, it makes sense to want to stay in a place where everything feels lovely from being in a sad world. This was not part of the assignment, but I do want to discuss it anyways. I was curious on why they talked about Romans in 1913, and why the author included some small details, so I did some research. I learned that Capri was first developed by Augustus, who’s successor was none other than Tiberius. I also learned that the land of the lotus eaters was the island Djerba of Tunisia, which is not too far from Capri. Also, when they were drinking, Wilson mentions the oleander. I couldn’t help but wonder why he would include talking about a flower. I found out that Pythia, known as the Oracle of Delphi, was believed to use oleander to be able to be possessed by the spirit of Apollo. I also learned that just like a lotus flower, it can be pretty fatal if it were to be consumed, and can affect one’s brain. I think that the narrator possibly had added the oleander to add not only a figurative term but also a sort of literal term to Wilson being a lotus eater. Today, in class, we read “The Lotus Eater” by W. Somerset Maugham. Even though this has the same name as one of the parts of the Odyssey it contrasts with it in many ways. The Lotus Eater story in the Odyssey talks about a group of people who feed strangers the lotus flower which grows on heir island. The lotus flower is enchanted and so once you eat it you lose the will to leave. Odysseus sent some men to examine the island. Those men ate the lotus flower and needed to be dragged by Odysseus back to their ship where they then left the island. The story we read revolved around a person named Thomas Wilson. On a trip, Wilson visited this beautiful place in Italy. Wilson was forced to return home to England but longed to live in Italy. Eventually, Wilson managed to save enough money so that he could live in Italy until he turned 60. Wilson lived happily on the island until he turned 60. At that point, Wilson didn’t have any money nor means of getting money. Wilson tried to commit suicide because he couldn’t manage to live is without his beautiful Italian scenery and eventually wasted away in debt and despair. The only similarity the two stories have are that someone goes to a magical place and is then unable to leave. The contrast arises from different situations, locations, reasons, and endings. In the Odyssey, everyone survives happily while this short story ends tragically. If we can learn anything from Wilson’s story it would be about preparation because if Wilson had worked longer he would have spent the rest of his life in happiness. It is sad that WIlson could ony live in his dream for 25 years and then was diminshed to an animal-like figure. W. Somerset Maugham’s The Lotus Eater and Homer’s story of the Lotus-Eaters in the Odyssey both have their similarities as well as their differences. On a trip, Wilson visited this beautiful place in Italy. Wilson was forced to return home to England but longed to live in Italy. Eventually, Wilson managed to save enough money so that he could live in Italy until he turned sixty. Once he reached that age, he decided to commit suicide. One obvious example that they are different is that Odysseus wanted to go home as soon as possible whereas Wilson wanted to stay on the island. Also, Wilson had virtually no family whereas Homer had a family he wanted to get back to. Another difference is the time period. The Odyssey took place during the time of Ancient Greece, whereas the Lotus-Eaters took place in 1913. This is a huge time-gap. The technology was different, the people were different and even the culture was somewhat different. However, there were some similarities. One major one was that both of them, including Odysseus’s crew, wished to stay in a magical area probably caused by eating plants. I was reading Abigail’s blog above, and I was also confused on why we were reading ancient greek mythology and then all of a sudden I was reading about a middle aged man enjoying life in a place called Capri. The story is about a man named Wilson who visits this place called Capri and is in love with it. He loses the idea of home and decides to live in Capri. He even sets a lifestyle in which he works until he is 60. However, he becomes depressed that he is living in debt and lives a terrible life. He attempts to kill himself, however, he ends up living a miserable life. Reading the end of the Lotus Eaters by W. Somerset Maugham, I realized the biggest similarity between the Lotus Eaters and the Odyssey was right in front of me, but I was blinded enough not to see. The title, Lotus Eaters. The Lotus Eaters compares to Wilson in the sense that the Lotus Eaters had its powerful grip on Wilson with his love for Capri. Wilson is in love and infatuated with the world of Capri. Like the sailors who ate the lotus, was in love with the island and had no desire in getting home. The power of a lotus with love is omnipotent. The power of love convinced the sailors who are tired from war yearning to go back to their families, to stay in an island with complete strangers. The text says, ” “they fell in, soon enough, with Lotus Eaters, who showed no will to do us harm, only of offering the sweet lotus to our friends…” It is very interesting to see what love and desire can do to an individual. Anjali, I really like your analysis of the two texts and how you pointed out the importance of the titles. You have good evidence to back up your notes as well, so great job! The short story The Lotus Eater has similar ideas to the excerpt of the Odyssey we read in the green textbook. The Lotus Eater short story is about a man who visited an island for a short stay but decided to stay longer, and eventually chose to stay there until he was 50 years old and then he would kill himself. He loved the easygoing life he lived on island and said he would return to England but he never did. He had no family or anyone in England. He could live a peaceful and satisfying life on the island, one that could fulfill his emotional needs. But when it comes time to off himself he debates whether he should do it or not. While he’s deciding he has to borrow loans because he only paid to stay in the island for a select period of time. He fell into deep dent and decided to swallow charcoal and die, but he failed and had to live in a hospital and became senile. He eventually lived with his former housekeeper and her husband until his death. This is similar to when I’m the Odyssey, Odysseyeus and his men go to Cicones and some of his men eat the lotus and fall in love with the island and want to stay. Odysseyeus forces them to leave though. It’s just like the man( Thomas Wilson) in the story. Wilson grew attached to the island after a visit but decided to stay instead of going home like he had promised. Sadly he had no one to force him to go back. Staying on the island eventually led him to suffer a horrible life after many years of serenity. Some of the class doesnt understand how the Odyssey and the short story we read during class are similar. I have already explained to a few how, and hopefully if you were confused this will help. Not that many people will see this because of the time I’m putting it up. The story of the Lotus Eaters in Greek Mythology is kind of sad. It tells the story of a people on a remote island that live off of the sweet plant the lotus. Doesn’t sound to bad. But it gets bad when you find out why they live off this plant. As Odysseus and his men find out, once you eat the plant, you are addicted. You want to stay on that island forever eating the plant, not caring about anything else. In a way you have to feel bad for the poor people that end up on this island, and never return home. Just like Wilson in the story we read today. He got addicted to the island after his first visit, and that’s all he could think about for the year before he finally moved there. Once he moved there he had enough money to last him 25 years. His 25 years were up, and because the island was paradise, he could not bring himself to follow his pan and commit suicide, dieing on the happiest place on Earth. He then added up over staying and became crazy because he finally did try ro kill himself, but failed. And just like the Lotus Eaters, Wilson ended up dieing, addicted to the island and what it holds. Reading through the blogs I see that you guys understand, but I know that there were a few that were confused at first. The story The Lotus Eater and the story of the Isle of the lotus eaters in Odysseus journey have many similarities. They both tell a story of Men, or a man, who sees an Isle so beautiful he wishes not to return home. He wishes to stay and enjoy the fruits of that Island, “…I’ve had my money’s worth already. And I’ve got ten years more. Don’t you think that after twenty-five years of perfect happiness one ought to be satisfied to call it a day?” Differently, in the literature textbook, ”The Lotus Eater Pg. 7) “…those who ate this honeyed plant, the lotus, never cared to report, not to return: they longed to stay forever’ browsing that native bloom, forgetful of their homeland.”(Literature Textbook, Pg. 985) These men, still have to return to reality eventually, and both return in less that pleasant ways. For Wilson, he eventually has to attempt to kill himself, but by not succeeding he dooms himself for years more of a more miserable existence. In the Odyssey, Odysseus has no choice but to tie the men who have tasted the lotus flower to the bottom of the bench. As well as this we Wilson stated, “.. twenty-five years of happiness seemed worth paying something pretty substantial for.” In the end, he pays something very substantial for his leisure, as he spends six hard years living as a scared, wild animal. The two stories of the Lotus Eaters had many similarities between them, even though they were based in different time periods. The one that we read in class, the modern one, is about a man named Wilson who has moved to and fell in love with an island called Capri. He loves the place so much that he has planned a whole life for himself revolving around staying there for as long as he can. “‘I knew pretty well how much I needed. I found I had just enough to buy an annuity for twenty-five years… It would carry me on till I was sixty. After all, no one can be certain of living longer than that, a lot of men die in their fifties, and by the time a man’s sixty he’s had the best of life.’” Wilson didn’t openly say it, but the narrator inferred that he was going to commit suicide after those twenty-five years of relaxing and having fun were up. This seems to be a very abrupt ending to such a nice life, and this proved true when his time ran out and he had lost the will to die. He procrastinated his own death for over a year, while his debts kept building up and up and he lost his credit with the local tradesmen and was evicted from his house. He tried to kill himself then, but failed at doing so. Instead, he had to live with his ex-servant and landlord, Assunta, and her gruff husband. His living conditions were poor and so was his mental state, as he ran away afraid from anyone who tried to confront him. This is very alike the Greek Mythology version of the Lotus Eaters, because when some of Odysseus’ men went up to the island to find out who lived there, they were greeted by very hospitable and kind people. They offered them their sacred flower, the lotus, which made the men fall in love with staying on the island and lose their will to return home to their families. The same thing happened to Wilson on Capri, as he fell in love with the island and the lifestyle involved. “‘My wife had died of bronchial pneumonia four years before and the kid went to live with her grandmother my wife’s mother. She was an old fool, she didn’t look after the kid properly and she got blood-poisoning, they amputated her leg, but they couldn’t save her and she died, poor little thing.’” This part is interesting because it shows just how much Wilson has lost his will to return home and how little emotion he seems to have towards his old life. By not even mentioning his child’s name and just calling her “kid,” and not giving any more sentiment other than “poor little thing,” Wilson shows just how fully moved on he is from that lifestyle, and how adjusted he is to his new one. The two stories titled “The Lotus Eaters” are seemingly completely unrelated, until you take a closer look. The Lotus Eaters is originally a mythological story from Greece, where Odysseus, in his travels back to Greece, has to deal with numerous obstacles. When the crew decides to land on an island, they find seemingly kind people, who offered them the Lotus, which poisoned them to want to stay on the island forever in happiness. Odysseus eventually finds out about this, and then forcefully drags his men back to the boat and leaves. In the story we read in class, a man named Thomas Wilson abandons his life in London to come live on Capri care-free for the rest of his life, or at least as long as he was able to afford it. Wilson’s plan was to live on the island until 60, at which point we would kill himself if he hadn’t died already. When his time is up, he fails the suicide, and becomes forced to work back his debts that have piled up for the rest of his remaining life. It seems strange that one story in a mythical, ancient Greece and another in pre-WWI Italy would be named the same, until you look at the details. In both stories, men have seemed to find careless happiness, and do not want to leave it under any circumstances. In both stories, this only appears to led into miser in the end. The common morale of the stories is that you always need to work hard and maintain responsibilities; that you cannot live in easy, simple happiness all of your life. So, as tempting as it may be, know that life was not meant to be spent such, and will only be worth it if you work for it. In class, we read The Lotus Eater by W. Somerset Maugham, about a man named Thomas Wilson who loved nature and spent his life living in a beautiful city near the ocean. He didn’t have the desire to ever leave Capri, just like Odysseus’ crew members didn’t want to leave the Lotus’ dwelling after they had eaten lotus flowers. But in both The Lotus Eater and the tale from Odysseus, the people who wanted to be happy and live a perfect life didn’t get what they wanted. “I drove them, all three wailing, to the ships, tied them down under their rowing benches, and called the rest: ‘All hands aboard; come, clear the beach and no one taste the Lotus, or you lose your hope of home.’”(985) In The Lotus Eater, Wilson died at the end, after something went wrong with his mind. He wanted to live his whole life and die enjoying nature, which was not what happened. These stories teach us the perfect doesn’t exist. The perfect thing will always have flaws. This goes with what Ms. Quison said about Odysseus not being perfect, and that throughout the story we should look for his flaws. Nobody is perfect. Even though both Odysseus’ crew members and Thomas Wilson didn’t get to stay in the “prefect world” because a perfect world doesn’t exist. Even though in Capri there was gorgeous nature, Wilson stopped working and lived off of rent. In the Lotus-Eater’s home worries didn’t exist, but the men forgot about their families and homes while they were there. Both stories come to show us that nothing is perfect. The short story we read in class “The Lotus Eater” was very different from the actual myth in the textbook. While the textbook was the actual myth from Homer’s Odyssey, “The Lotus Eater” was just a regular story. It could’ve been titled “Thomas Wilson” or something (but that title isn’t as good). “The Lotus Eater” was about a man named Thomas Wilson who used to be a bank manager. However, after being tired of that life, he left. He went to Capris, Italy, and just lived there in peace, soaking in the natural beauty of the island, never entertaining the possibility of leaving. However, despite the fact that the two stories are as different as black and white in their plots, they share a common theme. Both stories teach that you shouldn’t take the easy way out. Rather than dealing with his problems, Thomas Wilson left and went to Capris, never having a care in the world. That was his escape from his job. Similarly, the three men on Lotus Island that Odysseus sent out never wanted to leave the island. They completely forgot about all of their worries, and were content to just stay there for the rest of their lives. In the end, Odysseus had to drag them back to their ship, with them crying the entire way. The difference here is that no one stopped Thomas Wilson. In the end, he went a little crazy and died perhaps, the narrator said, from the beauty of the island. In the end, Capris is like the Lotus Island. The only difference is that Capris lures you in with its beauty rather than its sweets. But regardless, both stories tell valuable lessons about determination. Great response Arjun! I loved how you connected the two stories. Keep up the great work! In the story about the lotus eaters that we read in class many thing differ and are similar to one another. First off in the reading in class we meet the character Wilson who talks to the narrator on an island called Capri. He planned to stay in that island for as long as his money could spend. However once he runs out of money he will kill himself. This eventually happened and he failed at his suicide attempt and had to live in horrible conditions with his housemaid. In Odysseus story the crew found comfort and fun with the lotus eaters and never wanted to leave. One major difference is that Wilson really didn’t have any reason to leave the island while the Odysseus crew did. The crew had families to go back to while Wilson mentioned that he didn’t have family left. It was more reasonable for him to stay at Capri. He would rather have a short amount of pure happiness rather than a full life of sadness. Which clearly differed from what Odysseus wanted. He was given all these good things but still wanted to go back to his family and homeland. Wilson didn’t think there was more to the world but Odysseus knew. The story The Lotus Eater by W. Somerset Maugham has many similarities and differences to the excerpt we read from the Odyssey. The first similarity is the lotus flower itself. The lotus flower is a mythical flower that once you eat it, you never want to leave where you are, and you lose sense of time. In The Lotus Flower, the mysterious man named Wilson ate the lotus flower, and now he has no desire to leave Capri. “That was my last night, that was. I’d got to be back at the bank on Monday morning. When I looked at those two great rocks sticking out of the water, with the moon above them, and all the little lights of the fishermen in their boats catching cuttlefish, all so peaceful and beautiful, I said to myself, well, after all, why should I go back?” Also, I am pretty sure the lotus flower was in the wine they kept drinking. In the Odyssey, all of the sailors ate the lotus flower, and Odysseus struggled getting them to leave. However, these stories are very different. The Lotus Flower is focused on a man who is slowly going mad because he didn’t care about anyone, and started to feel like he had no use in life. Through Wilson talking, it is evident how he life is really so sad underneath all of the beauty on the island. When I was reading, I started off thinking the Wilson was lucky to spend his whole life with the beauty of nature. In reality, he didn’t do anything with his life, and didn’t care about anything. He didn’t even care about his wife or daughter, which seems sort of psychopathic. “Wilson’s plan was all right. There was only one flaw in it and this, I suppose, he could not have foreseen. It had never occurred to him that after twenty-five years of complete happiness, in this quiet backwater, with nothing in the world to disturb his serenity, his character would gradually lose its strength. The will needs obstacles in order to exercise its power; when it is never thwarted, when no effort is needed to achieve one’s desires, because one has placed one’s desires only in the things that can be obtained by stretching out one’s hand, the will grows impotent.” The Odyssey was more about a hero’s journey, and the lotus flower was just one of the obstacles. I enjoyed both stories, and I am looking forward to reading more. After reading both versions of The Lotus Eater, there are many similarities and differences. Obviously, the time periods of these stories are completely different. In W. Somerset Maugham’s version, the time period is August, 1913. This is drastically different from the 12th century B.C Odyssey. In the Prentice Hall textbook, Odysseus journeys to the Island of the Lotus Eaters, where his men are confronted with the choice of whether or not to eat the lotus flower. Of the men who decide to eat it, they lose all trace of their goals. Instead, they decide they want to live on the island where they can just relax and eat the lotus flower all day, every day. In Maugham’s version, we confronted with a man named Thomas Wilson who instead becomes attracted to the Island itself. This is another big difference in stories. How can you write a story and title it “The Lotus Eater” and yet not out huge emphasis on the lotus flower? That is the whole explanation behind the behavior of these people! On top of that, the people who are sentenced to this mindset have completely different fates. Odysseus saves his crewmen by tying them to the ship and sailing away. After some time, the effects of the lotus flower would wear off and the men would be fine. However, Wilson was not saved in this version. He never regained his proper state of mind and later died. Aside from these three aspects, the stories are similar. Both versions have men who lose track of their responsibilities and instead chose a life of luxury.